The Gap logo is displayed on a window at a Gap store on May 25, 2018 in San Francisco, California. Gap Inc. is considering shutting hundreds of its namesake stores at shopping malls as sales at the Gap brand continue to slide. The retailer said Tuesday evening that it still has 775 Gap-branded stores globally, in addition to those under the Old Navy, Banana Republic and Athleta banners. Gap Inc. has more than 3,000 stores around the world. The namesake brand, however, has been the weakest unit of the company of late. In the fiscal third quarter, sales at Gap stores open for at least 12 months fell 7 percent, while those at Old Navy and Banana Republic were positive. "There are hundreds of other stores that likely don't fit our vision for the future of Gap brand specialty store, whether in terms of profitability, customer experience, traffic trends," CEO Art Peck said Tuesday evening during a call with analysts. "The range from the very best to the very worst stores is extremely broad." Peck said that should the company "address" the bottom half of its fleet of Gap stores, it could contribute more than $100 million to earnings. He added the company is looking to make decisions about shutting stores "with urgency," including looking at closing some of Gap's "amazing flagships." "There likely will be a cash cost to exit many of these stores, which we will attempt to minimize," Peck told analysts. "But I plan to exit those that do not fit the future vision quickly. I'm going to move thoughtfully but aggressively." Gap shares were recently up about 4.6 percent midday Wednesday. The stock has fallen more than 24 percent already this year. Some analysts are hopeful that Peck and his team are taking the right steps to get the Gap brand back on its feet, enough to not drag the parent company's other labels down with it. 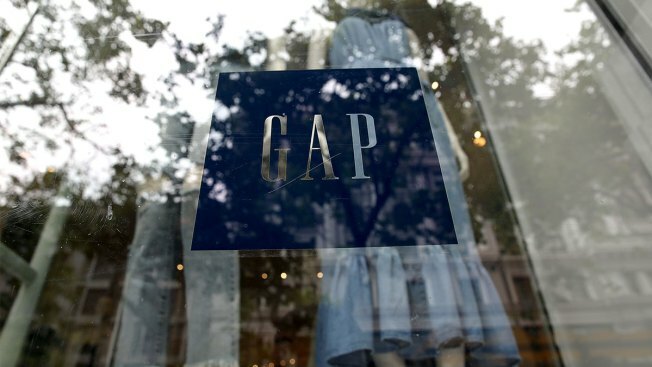 "We view management's comment on addressing the bottom half of the Gap's specialty store base as encouraging if executed right," Cowen and Co. analyst Oliver Chen said in a research note. "We view that improving profitability of the Gap brand is crucial to making GPS' performance consistent and healthy." To be sure, this will also leave mall owners with more empty storefronts to fill, while they're already dealing with closures from Sears, Bon-Ton, Claire's, The Children's Place and others. Many landlords are, in turn, starting to consider new uses like gyms, apartment complexes and coworking units to move in. Gap hasn't named the specific locations it will close but said it will give more details when the company provides its forecast for the next fiscal year.